Aliko Dangote, Africa’s richest man and president/chief executive officer, Dangote Industries Limited, has said the push towards backward integration by the Dangote Group is behind its planned investment of $4.6 billion in the next three years in sugar, rice and dairy production. The investment will help Nigeria to eliminate a longstanding dependence on imported materials, as well as the foreign exchange headache that comes with it, he said. At an award ceremony by the group’s foods division, Dangote said group annual revenues exceeded $4.1 billion in 2017, adding that the group was carrying out new projects including its refinery which will address Nigeria’s energy needs. “Our new projects include the world’s largest single-train petroleum refinery, which is being built in Ibeju-Lekki, Lagos at the cost of $12 billion will address Nigeria’s energy needs and eliminate the importation of refined petroleum products,” he said. The foods division, under the name Dangote Foods, comprises of Dangote Flour Mills, Dangote Sugar Refinery, and NASCON Allied Industries. It was rewarding customers who had distinguished themselves in 2017. A total of 77 customers were beneficiaries of the awards at a ceremony held in Lagos. Eleven winners emerged from each of Nigeria’s geopolitical regions, while the balance was in the national category. 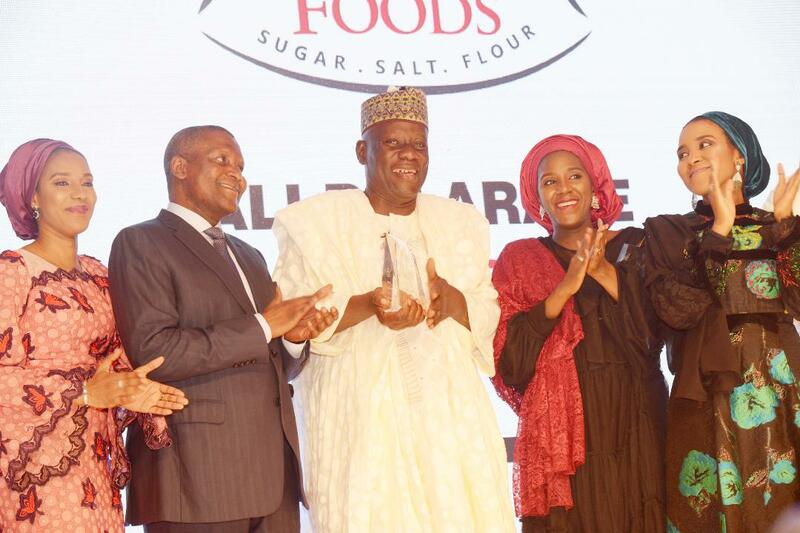 A total of 23 distributors won awards from Dangote Sugar Refinery, 27 from Dangote Flour Mills and 27 from NASCON Allied Industries. Aliko Dangote said that the event was organised in appreciation of customers for making Dangote food products a household name in Nigeria.